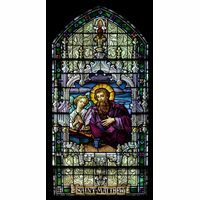 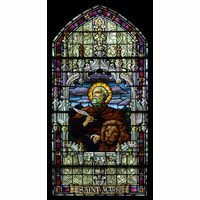 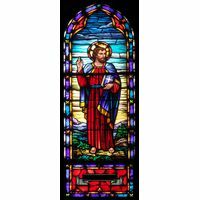 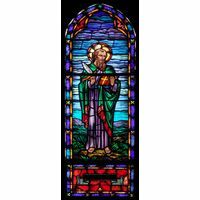 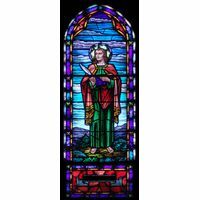 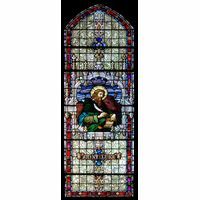 St. John the Apostle, beloved of Christians everywhere, is presented in breathtaking color and design as part of this lovely stained glass window. 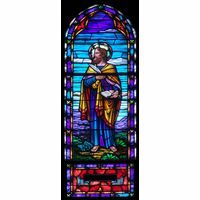 Flawless imagery and brilliant color blend with timeless design created by the master stained glass artists in the studios of Stained Glass, Inc. to ensure superior quality and beauty. 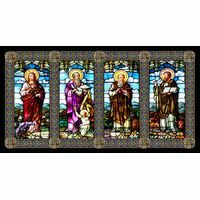 Stained glass is perfect for the decor of chapel or church, and is versatile, lending itself well to use as displayed artwork. 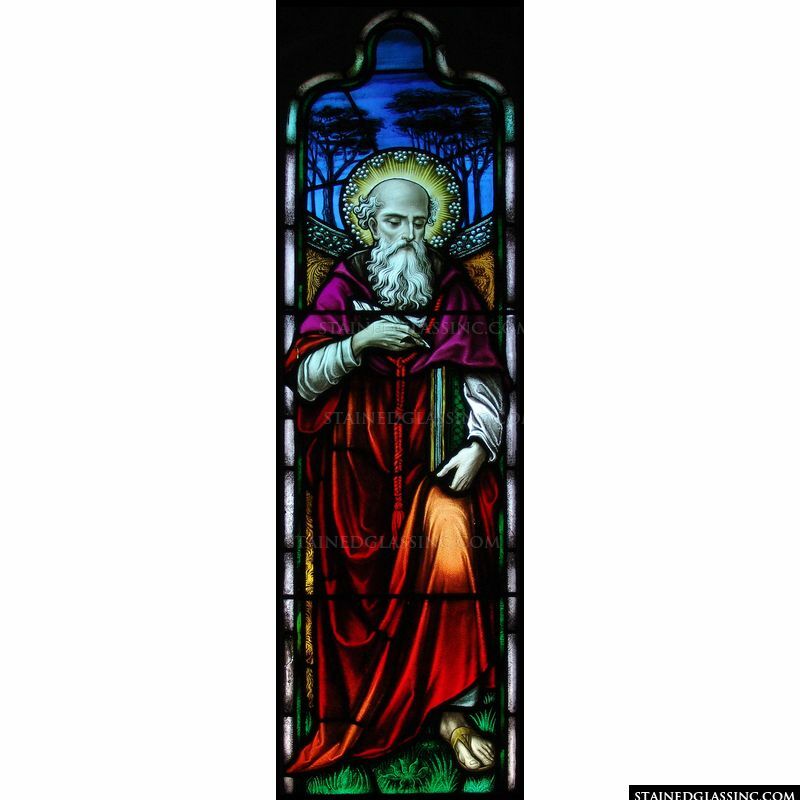 Reflective of shifting shades of light throughout the day, this lovely stained glass window is a masterpiece.